news Mining giant Fortescue this week revealed it had deployed a broad swathe of technology products and services from diversified global technology vendor HP as it overhauled much of its basic underlying IT server infrastructure. 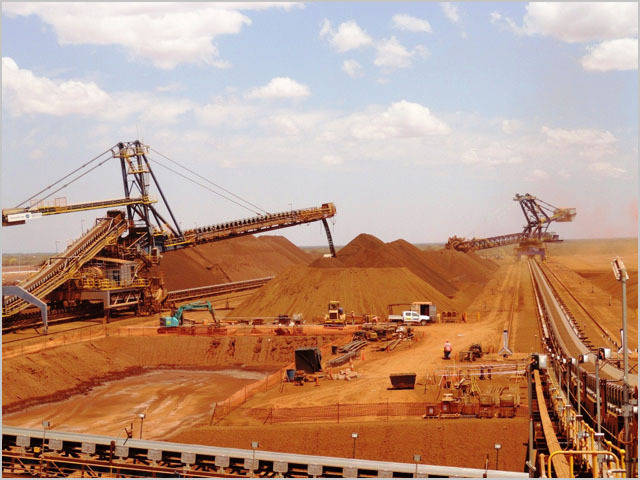 Fortescue has quickly grown to become one of the largest international iron ore groups globally, after forming in 2003 and quickly building a vast network of mining resources in the Pilbara region of Western Australia. However, according to a statement issued by HP this week, the company’s legacy IT infrastructure had lacked the flexibility to support its rapid growth — while “administrative requirements” were preventing IT staff from proactively responding to business needs. “Our existing IT infrastructure could not keep up with the rate of growth we were experiencing and stifled the ability of our IT staff to provide innovative value to the business,” said Vito Forte, chief information officer, Fortescue Metals Group. To resolve the situation, Fortescue deployed a range of technologies from HP, focused on the company’s CloudSystem Matrix infrastructure as a service/private cloud solution. Some of the component parts used include HP’s ProLiant BL460 G7 blade servers in BladeSystem c7000 Enclosures, the company’s Virtual Connect FlexFabric 10Gb/24-Port Modules for connecting virtualised server blades to the company’s storage network, and storage systems involving HP’s 3PAR Storage, StoreOne Backup and MSL2024 Tape Library systems. The company also implemented the HP Networking 10508 Switch Series in its head office to create a virtualised 20GbE network, as well as utilising the HP Technology Services Critical Watch Centre located in Newcastle for remote management. Fortescue also worked with HP Financial Services, the leasing and life cycle asset management services division of HP, to eliminate equipment overhead by leveraging a utility-based finance model, according to HP, paying only for the equipment it uses. This provides Fortescue with “the flexibility and speed to support future expansion while conserving capital and optimising cash flow”. Forte has previously highlighted his company’s engagement with HP when it comes to IT infrastructure. “We’re also just about to finish setting up HP’s utility infrastructure model,” he told CIO Magazine in December last year. In addition, Fortescue is well known for its internal innovation when it comes to its information technology operations — preferring to focus on nimble and scalable solutions rather than deploying legacy IT infrastructure. Twelve months ago, Forte revealed that the company was then working on a plan to migrate to Office 365, for example, and in March this year Forte said the days of traditional systems administrators in IT departments were “gone”, due to the rapid onset of cloud computing technologies. I’m sure there are quite a few more sizable private cloud deployments which HP is keeping under wraps, but this example with Fortescue is one of the first major such contracts which I’ve seen HP win in Australia, and it appears to be a significant one involving quite a broad suite of different HP products and services — all obviously complementary to each other. The company didn’t have a strong public focus on the utility services/IaaS/private cloud computing services market until it had a significant launch in late 2010; but I’m sure it has a huge push on in this area currently, given how hyped this segment of the enterprise IT market is. It will be interesting to see if the company discloses any more substantial wins over the next six months. One final item of interest regarding this announcement. HP labelled this deployment as relating to “cloud services”. But is it really? With Fortescue’s new HP hardware looking like it primarily resides in its own premises, and with physical server and switch names being disclosed here, it really seems to me that what Fortescue has bought here is a wide range of server products (plus some advanced virtualisation), rather than cloud computing services per se. I know every vendor in the business right now wants to jump on the cloud computing bandwagon, but it seems to me as though I could have received this same statement from HP five years ago, and it would have been a similar deployment — but it wouldn’t have been labelled “cloud”. The line between “private cloud computing” and “a bunch of servers in a customer datacentre” seems increasingly blurred to me these days — to the extent that I find it hard to tell which is which. I will be interested to see if the IT industry’s jargonbusters can sort this one out over the next few years. Has Fortescue dumped BlackBerry for Nokia? well it’s no wonder twiggy doesn’t want to the pay the MRRT. he’s spent all of his money on IT. Renai, there is no line… there can be no line… I work for a MSP and when our sales staff sit down in a meeting and the customer brings up the word cloud they are thinking it is great, cheap, effective and reliable due to all the marketing put on it from large corporations. Our sales staff have no option but to call the quote being provided (2 VMware servers, a SAN etc.) a Private Cloud option. We have a rack or two in a DC for hosting customer dedicated virtual servers off-site and that is our “hosted cloud” solution. In today’s market , the undefined term that is “cloud” MUST be used for non-cloud technologies or you will have no customers or business because everyone wants the cloud but not everyone needs it. The only options small to medium businesses are left with is to sell non-cloud technologies as if they are.